Current release of Photoshop has more than a dozen new features that significantly widen our choices in working with images. 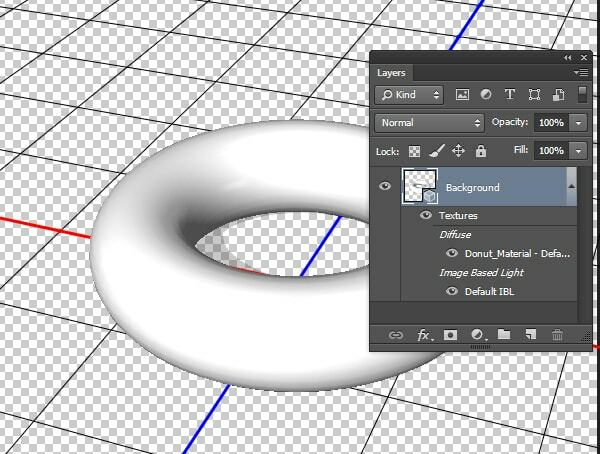 Sharpening tools, Camera Raw Tools, improved tools for working with vector objects, copying of CSS attributes, improved toolbar for working with 3D objects and texture painting, and much more are now available in Creative Cloud. 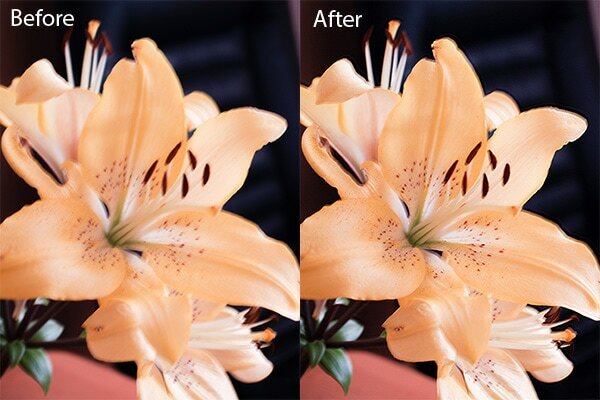 New Smart Sharpen filter (Filter > Sharpen > Smart Sharpen …) gives us an opportunity to improve image sharpness while minimizing noise and halo effects. In the filter’s dialog box, you can control the parameters Amount, Radius, Reduce Noise and choose what type of blur need to be eliminated. 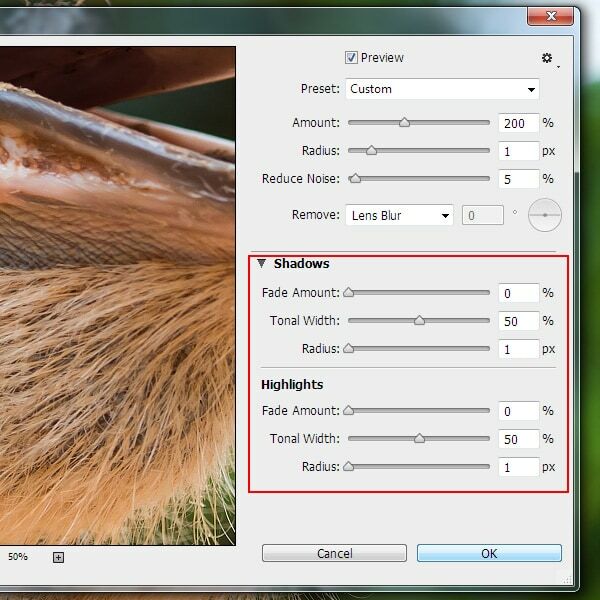 In addition, you can control the amount of sharpening that occurs in shadows and highlights. 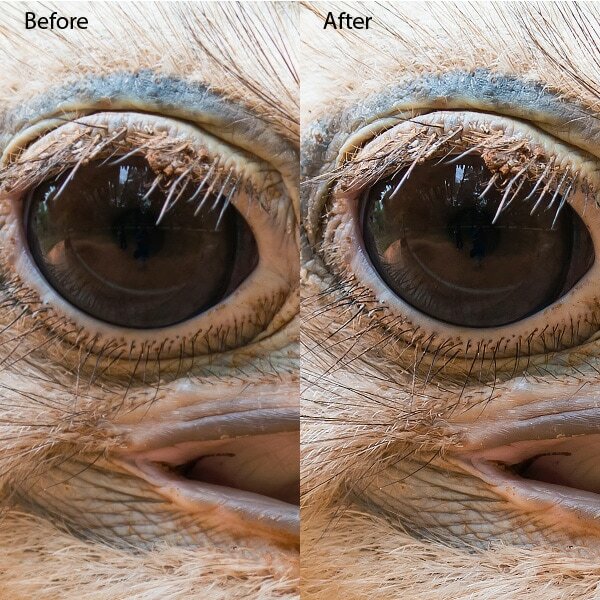 The picture below shows a fragment of the picture Ostrich head close up from Shutterstock before and after the application of Smart Sharpen filter. 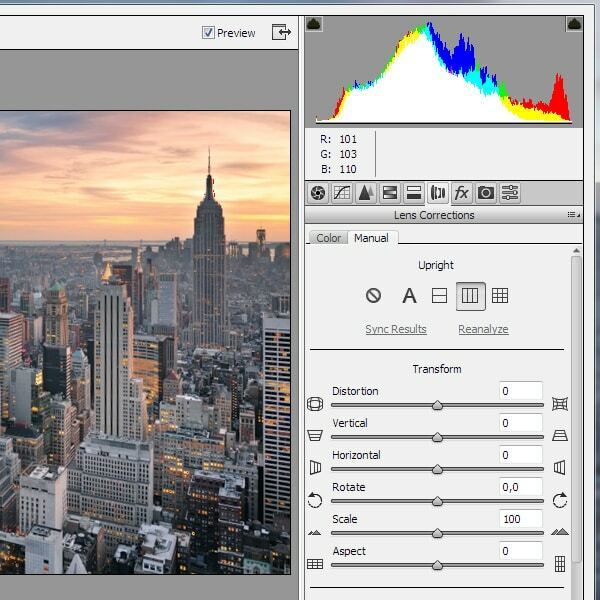 Smart sharpening in Photoshop CC supports CMYK color mode. In addition, you can control the sharpness of the individual channels, such as the alpha channel. Now the Image Size feature (Image > Image Size …) includes the Preserve Details method, which allows to improve sharpness by increasing the image size. 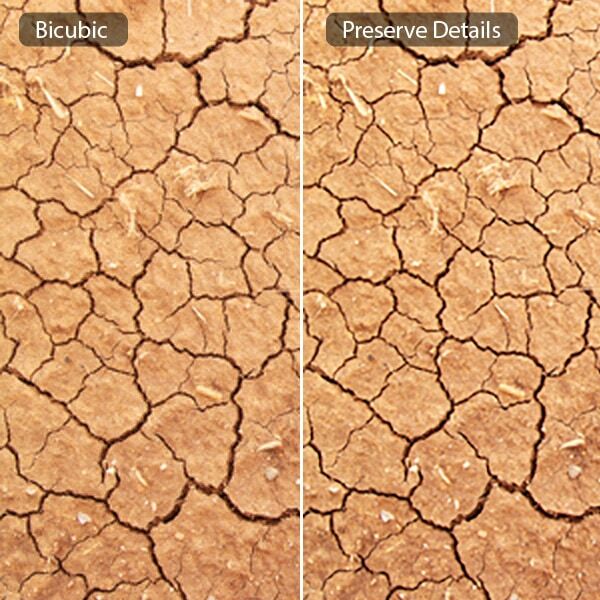 To show it, I zoomed in Cracked clay ground image from Shutterstock two times using Photoshop CC (Preserve Details) and Photoshop CS5 (Bicubic). I have to admit that there are notable differences. 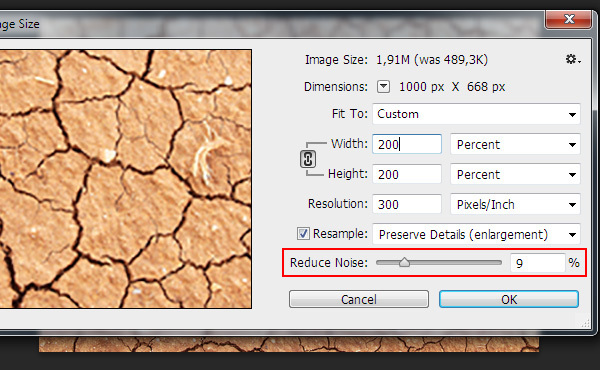 When Preserve Details method is chosen, a Noise reduction slider becomes available for smoothing out noise as you upscale the image. You can apply Adobe Camera Raw as a filter (Filter > Camera Raw Filter) to images directly in Photoshop CC. 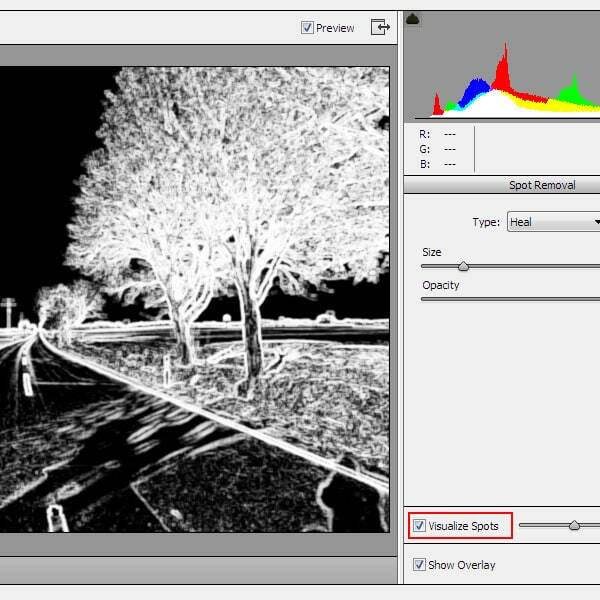 Camera Raw adjustments, such as Temperature, Exposure, Contrast and so on can be applied to most types of files, for example, PNG, video clips, TIFF, JPEG. Filter can be applied to any layers that have image. 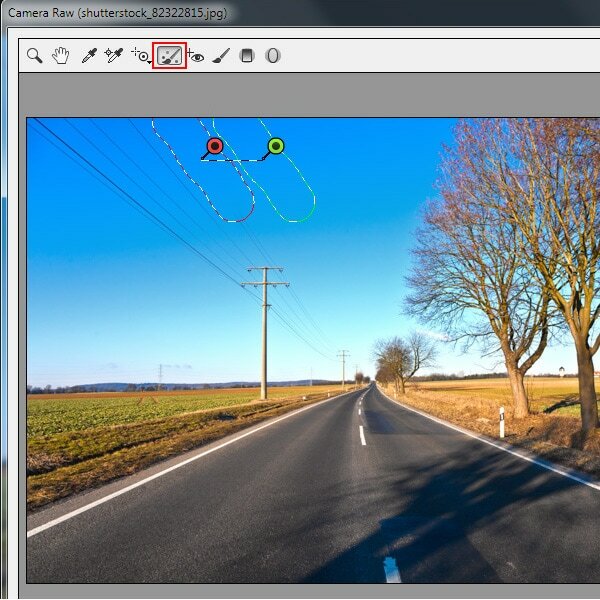 Camera Raw contains many useful tools for editing photos, which we will talk about below. This tool works like a familiar to you Healing Brush Tool. You just need to paint an unwanted element on the photo, and then choose an area that can be a source of replacement. When Sport Removal Tool is selected, Sport Removal tab with options to control the tool opens. Here you can choose type of replacement of the selected area – Heal or Clone. Heal matches the texture, lighting, and shading of the sampled area to the selected area. Clone applies the sampled area of the image to the selected area. 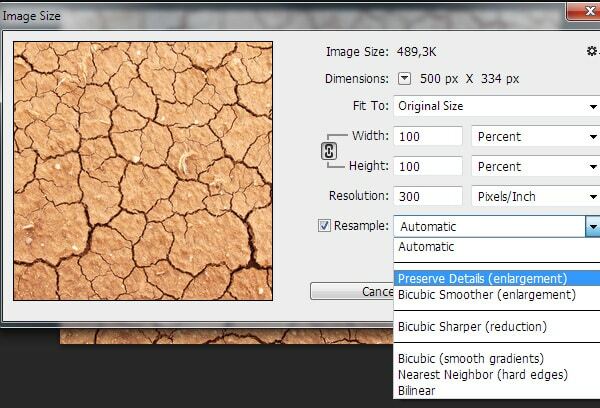 You can also set the size of the brush and Opacity level. 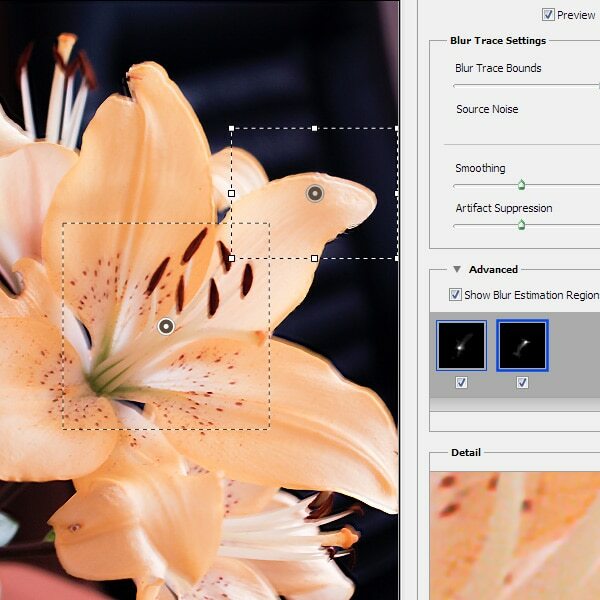 The Visualize Spots feature allows you to find flaws that are not visible while working on a computer screen, but can appear in the printed photo at its full resolution. 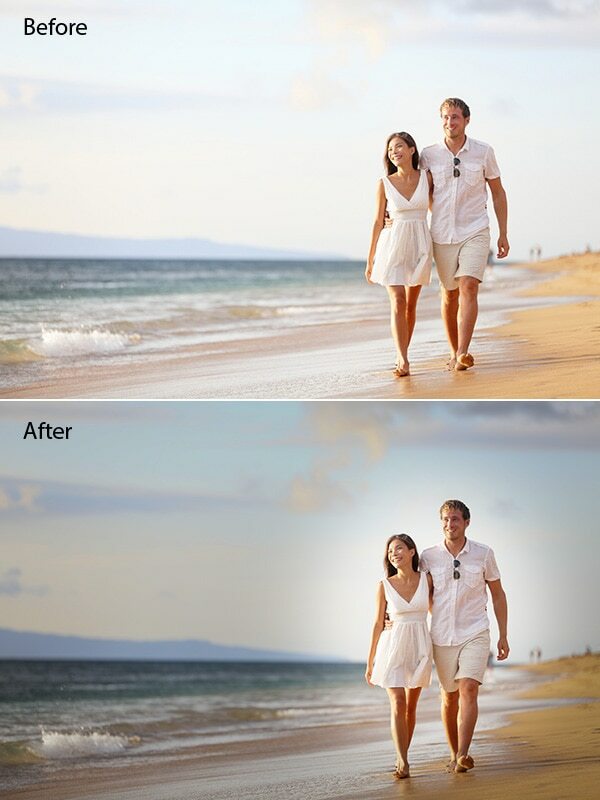 When you select this option, the image will be inverted in the Camera Raw filter window. 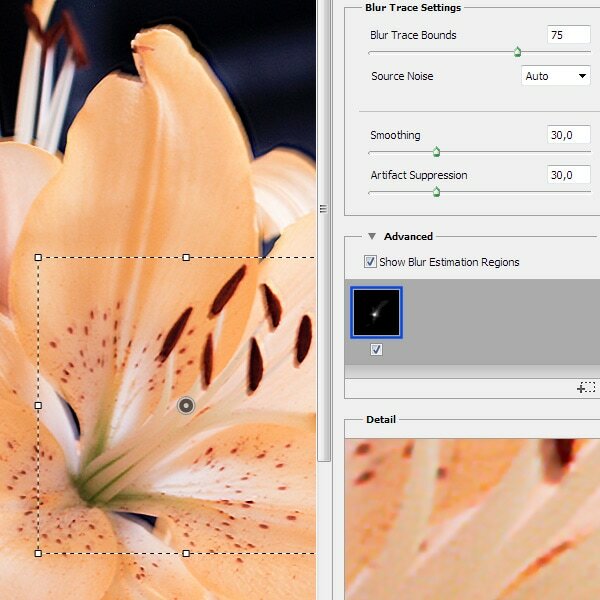 Now you can use the Spot Removal tool in the Visualize Spots mode, to clean up the image. The Upright feature (Camera Raw dialog > Lens Correction > Manual tab) in Camera Raw enables you to automatically straighten image content. The Upright mode automatically corrects the perspective of the elements in a photograph. There are four modes of correction: Auto (balanced perspective corrections), Level (perspective corrections are weighted toward horizontal details), Vertical (Perspective corrections are weighted toward vertical details) and Full (combination of all the previous modes. 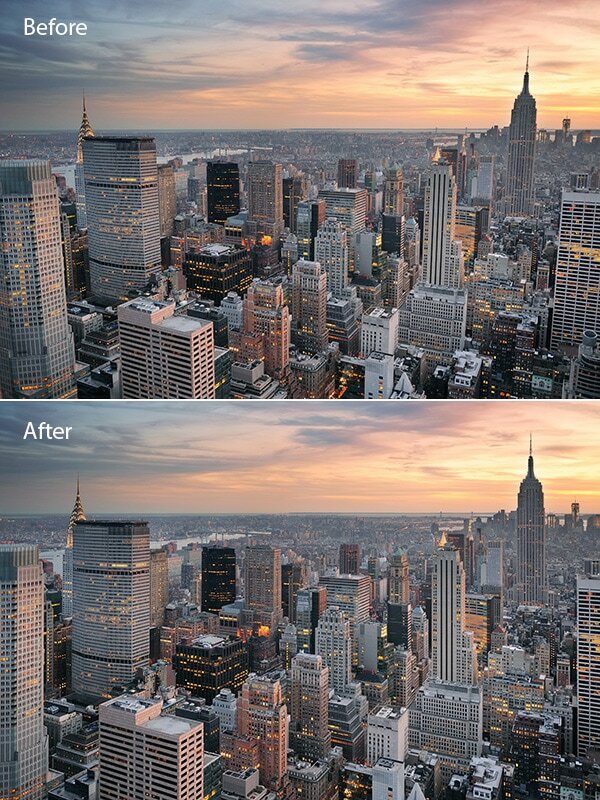 This is how New York City image from Shutterstock looks before and after the application of the tool. 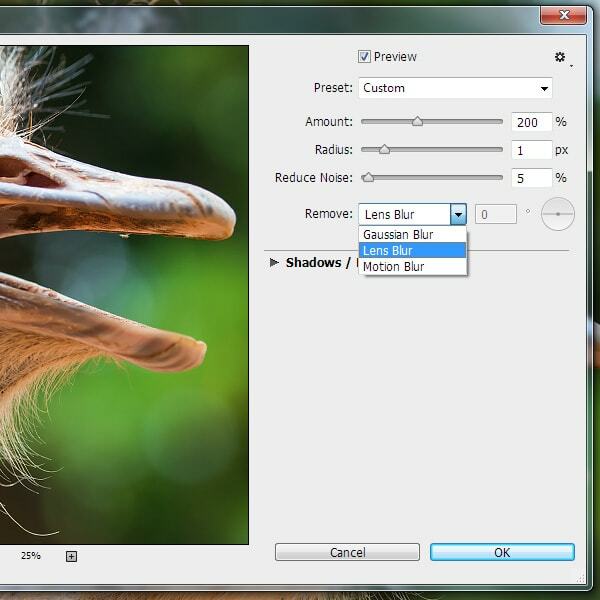 The new Aspect slider lets you modify the aspect of the image horizontally or vertically. Sliding the control left modifies the horizontal aspect, and sliding it right modifies the vertical aspect of the photo. 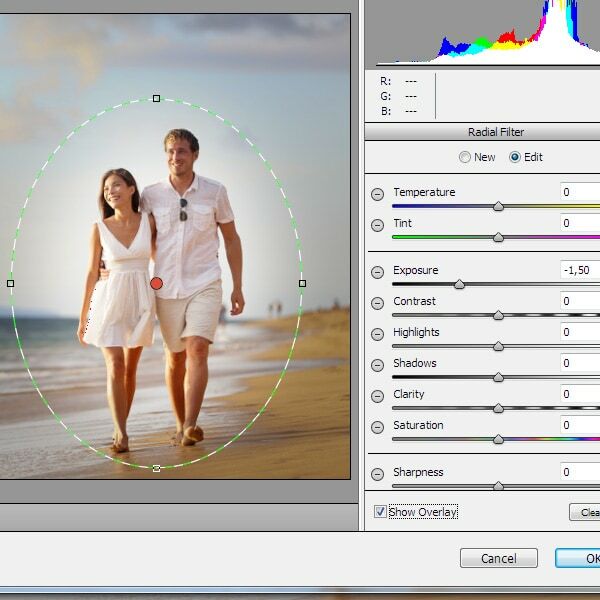 This feature allows you to automatically reduce image blurring caused by camera motion. 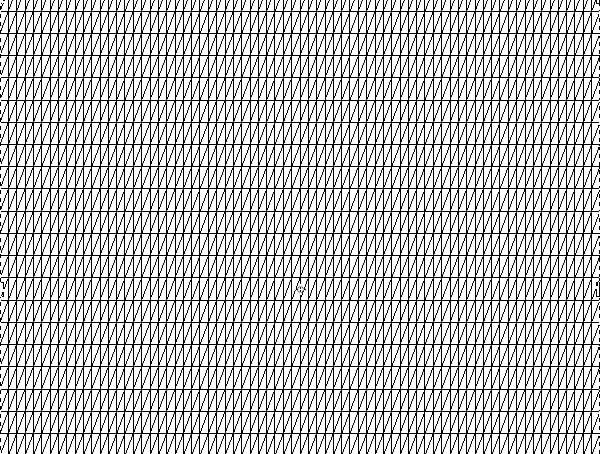 The camera shake reduction feature can reduce blurring resulting from several types of camera motion; including linear motion, arc-shaped motion, rotational motion, and zigzag motion. To apply the filter, go to Filter > Sharpen > Shake Reduction. 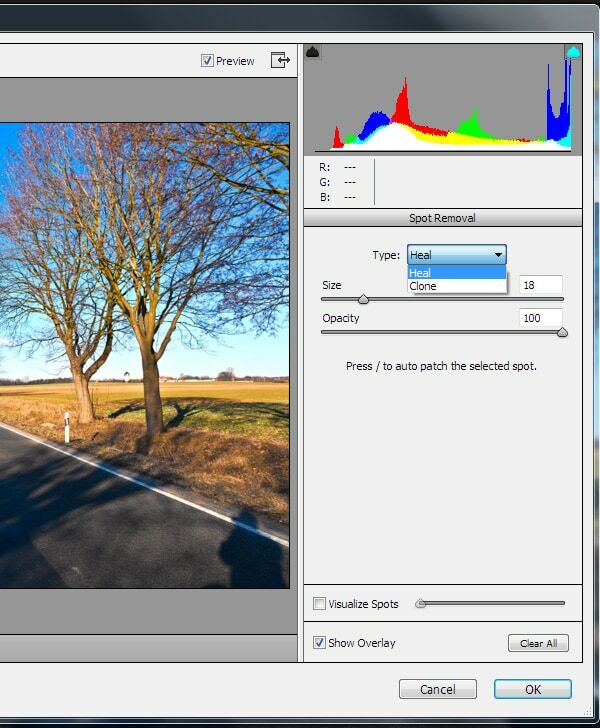 Photoshop automatically analyzes the region of the image best suited for shake reduction, determines the nature of the blur, and extrapolates the appropriate corrections to the entire image. The corrected image is displayed for your review in the Shake Reduction dialog. To further fine-tune the image, you can have Photoshop compute and consider blur traces for multiple regions. For best results, create blur traces in regions of the image that have edge contrast. You can use any painting tools for painting of 3D model. Using the selection tools you can identify specific areas of the model that need to be painted. 3D menu commands let you clear away areas of a model to access interior or hidden portions for painting. Such painting was available in earlier releases of Photoshop, but now it has become much easier to do that. Let’s see how it can be done. 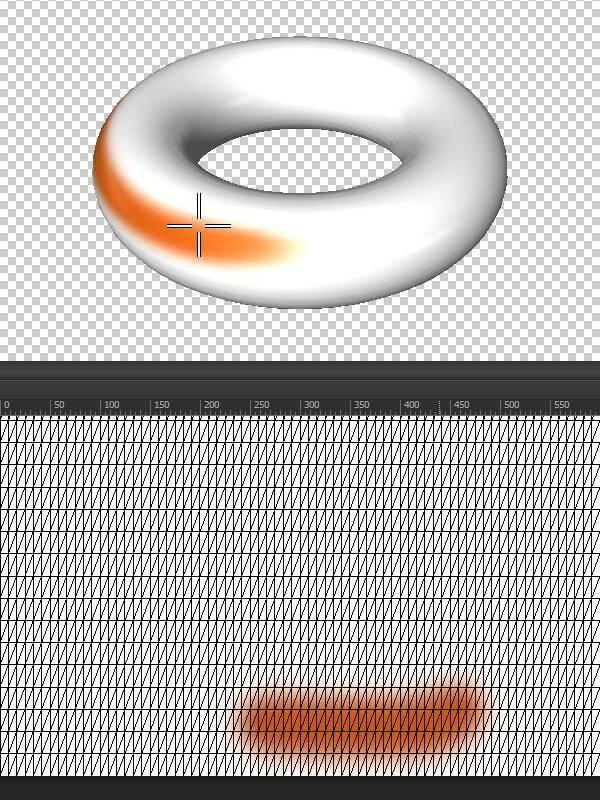 Create a model using 3D presets (3D > New Mesh from Layer > Mesh Preset > Donut). 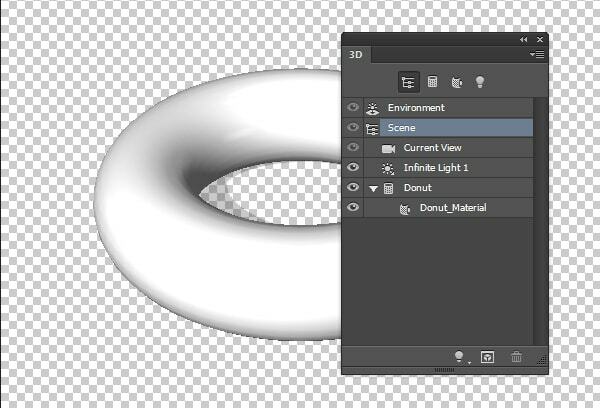 Now, if you double click on the Donut Material in the Layers panel, then there will open a new document with 2D texture. Now, when painting 2D textures, for example with the help of Paint Brush Tool, we can observe in real time how 3D model is being painted. Photoshop CS has a sophisticated 3D panel, which is structured as a scene graph/tree having root objects and child objects. You can interact with 3D objects in the scene graph in several ways: delete objects; reorder objects; reverse object order; insert objects; duplicate objects; make instances of objects (linked instances or decoupled instances) and group objects. You can access these interactions from the context menu associated with a 3D object. 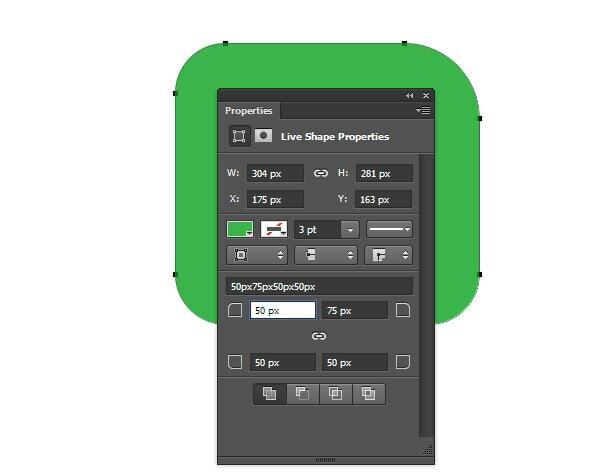 If you create a shape with the help of the Rounded Rectangle Tool or Rectangle Tool in Photoshop CC, then in the Properties panel, you can change the rounding radii of all the corners at the same time or for each individually. 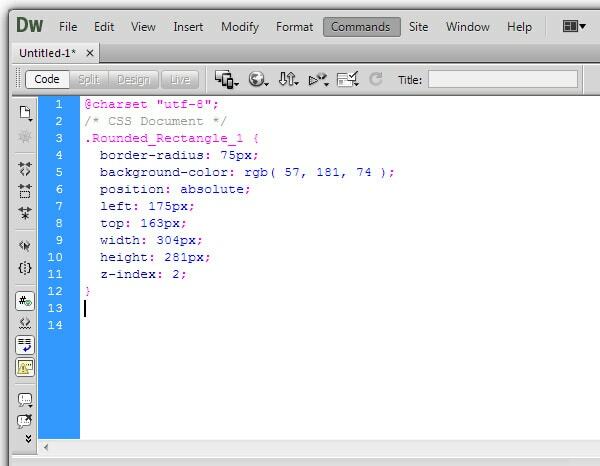 Now you can copy the CSS of this rectangle and paste it in the code editor. 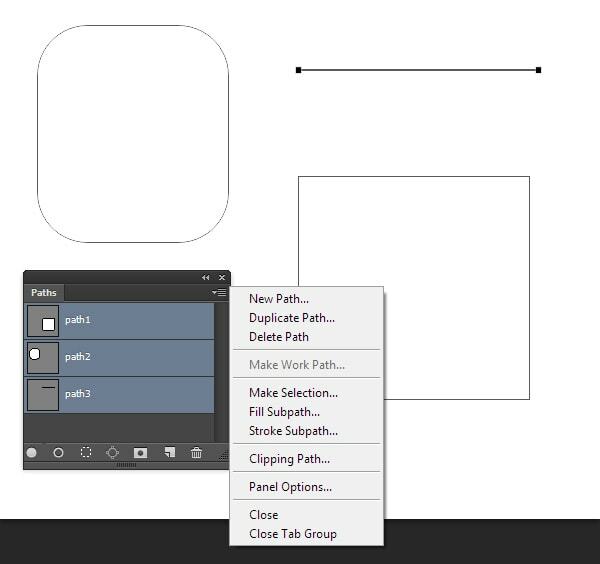 In this release of Photoshop CC, we can simultaneously select multiple paths, shapes and vector masks in the Paths panel. In addition, we can duplicate and delete them by using appropriate commands from the pop-up menu of the panel. Looks like some really clever new bits and bobs to have a mess with. The image editing elements will be great for photographers like myself… Even on a good day you can blur a shot that would of been a perfect fit for an album, so if you can recover to a printable quality that would be brilliant. Yeah, for Photographer/Retoucher is it great. Most important is new anitalias mode for text rendering, it’s windows lcd and windows, which makes fonts look more like in the browser. 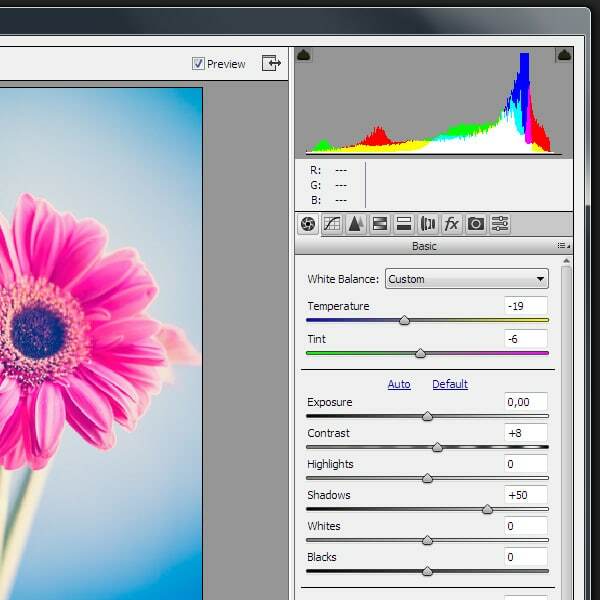 Glad to know about these brilliant image editing features. Thanks for sharing !! 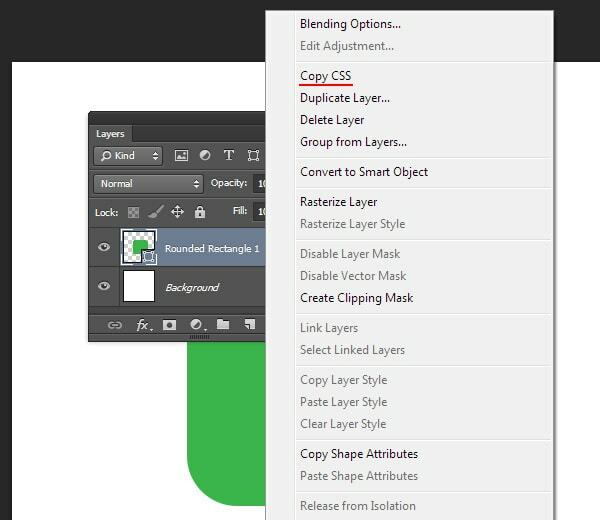 Welcome Adobe CC!… happy to hearing the new features of release by Adobe Corporation. I like “Upright modes” feature.